Ever wonder about what the folks who grow Ontario’s great organic food are thinking? Check out this great video put together as part of Sustain Ontario’s Growing Good Food Ideas project! The video was made by Powerline Films and stars some of our amazing members! 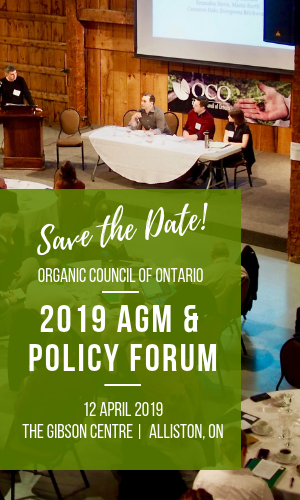 Organic Council of Ontario – Organic Food Production in Ontario from Sustain Ontario on Vimeo.